Former 5dolls' member Lee Soomi attracts attention with her "elegant charm"! 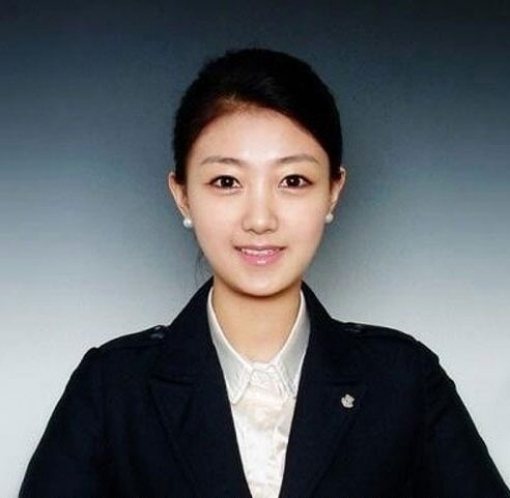 Former "Coed School" and girl group "SeeYa" and "5dolls" member has had a hard past, but her old photos as a stewardess have attratcted attention. On an Internet community, photos from when Soomi was younger with an elegeant and beautiful apperance while she was preparing to become a stewardess attracted attention. Inside the post, there are pictures of Soomi dressed in an elegant stewardess uniform that shows off her beautiful image. Netiens have commented things like, "Elegant, charming and beautiful", "A beautiful and modest charm", "I don't know any celebrities who used to be stewardesses before except her." Soomi debuted with SeeYa in 2009 and then debuted with the mixed group Coed School in 2010 and became a member of 5dolls in 2011, which she left earlier this year.